The physical properties, chemical reactions, toxicity, carcinogenicity, and other properties of an element or compound present in the environment and discussed in the preceding chapters are determined by the electronic configuration of the atom, ion, or molecule of interest. Except for the fact that the number of electrons in an atom is determined by the number of protons in its nucleus, there is generally no need to give further consideration to the nucleus when dealing with the basic chemistry of an element having a stable nucleus. However, there are certain properties of the atomic nucleus that can have small but measurable effects on the physical properties and chemical behavior of an element and its compounds. We shall introduce those nuclear properties that contribute to the present environment and, perhaps more importantly, those that have application in the study of the paleoenvironment. Atomic nuclei are either stable or unstable (radioactive). Because radioactivity is a major source of the ionizing radiation component of the environment, most of this chapter will be devoted to the quantitative aspects of radioactivity and to the nature, properties, and effects of ionizing radiation. It is intended that this chapter supplement the coverage of nuclear chemistry in a general chemistry course and thereby provide background material for Chapter 14. Because of this limited objective, many topics contained in books on nuclear chemistry, radiochemistry, and radiation protection have been abbreviated or omitted. 1911 Postulation of the nuclear model of the atom by Ernest Rutherford based on studies of the scattering of a particles from a radioactive source by the atoms in a thin gold foil. 1896 Discovery of radioactivity by Antoine Henri Becquerel while using photographic plates to study x-ray-induced fluorescence of various substances, including uranium salts. 1895 Discovery of x rays by Wilhelm Conrad Roentgen while experimenting with Crookes tubes, which were the precursors of cathode ray tubes (CRTs) used in oscilloscopes, one type of TV display, and one type of computer monitor. 1830 Invention of the photographic plate by Louis Daguerre. An atomic species whose properties are of interest because of the composition and associated properties of its nucleus is called a nuclide. For the purposes of this book it will be adequate to identify and specify the composition of an atomic nucleus in terms of the number of nucleons, that is, neutrons (N) and protons (Z), that it contains.1 In practice, the symbol for a nuclide consists of the chemical symbol, which determines Z, and the mass number (A), which is also the nucleon number (N + Z). Thus, for 6 Li the atomic number is 3 and the mass number is 6. Alternative forms of representation are 3Li, lithium-6, and Li-6. (nuclear force) involving the exchange of particles called gluons. stable nuclides, about 515 isomer pairs and about 30 isomer triplets, and 21 primordial nuclides that undergo radioactive decay so slowly that they are treated chemically as if stable. All elements from Z = 1 (H) through Z = 83 (Bi) have at least one stable isotope except for the two manufactured elements, element 43 (technetium) and element 61 (promethium). All elements with Z > 83 are radioelements. Some of the radioisotopes of the elements polonium (Z = 84) through uranium (Z = 92) are members of three naturally occurring families or series discussed in Section 13.4.1. The transuranium elements, those beyond uranium in the periodic table, that have been synthesized at the time of writing are 93Np (neptunium), 94Pu (plutonium), 95Am (americium), 96Cm (curium), 97Bk (berkelium), 98Cf (californium), 99Es (einsteinium), 100Fm (fermium), 101Md (mendelevium), 102No (nobelium), 103Lr (lawren-cium), 104Rf (rutherfordium), 105Db (dubnium), 106Sg (seaborgium), 107Bh (bohrium), 108Hs (hassium), 109Mt (meitnerium), 110El, 111El, and 112El, where El represents an unnamed element. Creation of elements 116 and 118 was announced in 1999, but the announcement was retracted in 2001 because repetition of the experiment in the same and in other heavy element research laboratories failed to confirm the initial results. The actinium series ends with lawrencium. Seaborgium has been shown to have the chemical properties of molybdenum and tungsten, bohrium those of technetium and rhenium, and hassium those of osmium. Neptunium and plutonium also are produced in trace amounts in uranium ores by the reaction of 238U with neutrons. This reaction is discussed in Section 13.6.3. A radionuclide, A, that decays into a product nuclide B with a change of Z can be represented by a point that is either above or below the stability band in Figure 13-1, depending on the mode of decay. As A decays, the point will move toward the stability band and will be within the band if B is stable. If A is the first member of a radioactive series, [reaction (13-21) in Section 13.4.1], the point representing the last member will be in the band. 2Nuclides with 2, 8, 20, 50, or 82 protons or neutrons or 126 neutrons are characterized as having a magic number of nucleons. Such nuclides have several distinguishing properties (e.g., high abundance, a large number of stable isotopes, high stability). The correlation between magic numbers and nuclidic properties provides the basis for the shell model of nuclei. In this model, the magic numbers correspond to the number of protons in closed shells of protons or neutrons in closed shells of neutrons. A region of relative stability of superheavy radioelements has been predicted for nuclei close to those with 114 or 126 protons and those with 184 neutrons. FIGURE 13-1 Numbers of protons and neutrons in stable nuclei. Magic numbers (see footnote 2) are indicated. Redrawn from S. Glasstone and A. Sesonske, Nuclear Reactor Engineering, 4th ed., Vol. 1, Chapman & Hall, New York. Copyright © 1994. Used by permission of Kluwer Academic Plenum Publishers. At least 32 of the 91 naturally occurring elements (including the recently discussed plutonium, 244Pu) have one or more naturally occurring radioisotopes and 10 have no stable isotopes.3 Furthermore, all 91 elements have one or more (up to 36) anthropogenic radioisotopes. The nuclidic mass (rest mass), M, is expressed on a relative scale based on the mass of an atom of the stable isotope of carbon 12 C, which is defined as having a mass of exactly 12.00000000 atomic mass units (amu).4 For example, the values of M for stable 13C and radioactive 238U are 13.00335483 and 238.050785, respectively.5 As discussed in the next section, the nuclidic mass is less than the sum of the rest masses of Z hydrogen atoms and N neutrons by an amount equal to the mass-equivalent of the binding energy that holds the nucleus together. The two stable isotopes of carbon, 12C and 13C, have experimentally determined isotopic abundances of 98.90 and 1.10 at. %, respectively. By calculating the weighted average of the two isotopic masses, one obtains 12.011 for the atomic weight of carbon. In addition to mass, the nucleons confer other properties on an atomic nucleus. One of the properties is nuclear spin, which is analogous to the spin assigned to an atom based on the orbital angular momentum and the intrinsic spin of the atom's electrons. (See Appendix A, Section A.2.) The properties of a nucleus are consistent with each nucleon having a quantized orbital angular momentum I, an integer value, and a quantized intrinsic spin angular momentum s = 1/2. When combined, the total nuclear angular momentum or nuclear spin j of a nucleon has a half-integral value. Nuclei with even mass number have a total nuclear spin I equal to 0 or an integer; those with odd mass number have I = half-integer. 3The number of known naturally occurring radionuclides that decay exceedingly slowly increases as radiometric measurement techniques are improved. New, manufactured radionuclides also are being discovered as the products of nuclear reactions in which high-energy, heavy ions (e.g., 238U ions) strike a target consisting of an element such as lead and as the products of reactions used to produce new heavy elements. 5Values of M and abundances of naturally occurring isotopes and values of M for radioisotopes of the elements are readily available in handbooks. In some tabulations values of A, the mass excess, rather than M are given. The mass excess is defined in terms of the isotopic mass M and the mass number A, which is the whole number nearest M, by A = M — A. The physical properties, such as density, viscosity, melting point, vapor pressure, spectra, and rate of diffusion, and the chemical properties, such as reaction rates and equilibrium states, of a given chemical substance are slightly different for isotopomers (chemical species differing in isotopic composition). For example, the normal melting and boiling points of D20 (2H20, heavy water) are 3.82°C and 101.42°C, respectively. This is an example of the isotope effect, which increases in magnitude with increasing AM/M, the relative mass difference for two isotopes, and is, therefore, most pronounced for the light elements H, Li, Be, C, N, O, Si, S, and Cl. Even so, the isotope effect is sufficiently large to serve as the basis for methods of isotope separation (enrichment) for many elements, including uranium. An important mass-dependent effect is isotope fractionation, which occurs in physical processes such as evaporation of a liquid and in chemical reactions. During the evaporation of water, which normally has a source-dependent deuterium concentration of about 0.015 atom percent of the hydrogen atoms, the liquid becomes slightly enriched in D20 because of its lower vapor pressure. Isotope fractionation can also occur in a chemical reaction so that the ratio of the atoms of one isotope to that of another in the reactant differs from the ratio in the product. An example is an isotope exchange reaction that reaches equilibrium. When 15NH3 (g) is equilibrated with 14NH| (aq), the ratio of 14N/15N in the gas phase becomes about 1.023 times that in the aqueous phase. Another source of isotope fractionation is the kinetic isotope effect that occurs because the rate of a chemical reaction is affected by the mass of the reacting atoms in the reactant. Heavier isotopes form stronger bonds of a given type than lighter isotopes. Thus, the rate of a chemical reaction that involves the breaking of C-H or C-D bonds in isotopomers will be faster for the one with the C-H bonds. The kinetic isotope effect accounts for the enrichment of 12C relative to 13C in organic compounds formed in plants by photosynthesis. As we shall see in Chapter 14, Sections 14.5.1, 14.5.2, and 14.5.4., isotope fractionation and its temperature coefficient have been used to study the mechanisms of a wide variety of biological, chemical, and physical processes in the environment, especially in the paleoenvironment. Using hydrogen as an example, we find that the total nuclear spin associated with an atom of hydrogen in any molecule such as benzene (C6H6) is that of a proton and is equal to 1/2. If we assume that the proton can be treated as a rotating charge, it will generate a magnetic field and have a magnetic moment that can interact with an external magnetic field. Thus, when a sample of a hydrogen-containing compound is placed in a strong, homogeneous, external magnetic field, the magnetic moment of the protons becomes oriented in one or the other of two allowed directions corresponding to two magnetic energy states. The energy difference between the two states is proportional to the strength of the external magnetic field and is the order of 10—26 J. If the sample is also irradiated with a pulse of radiofrequency (rf) radiation having energy equal to the energy difference, the sample will absorb the radiation, reduce the intensity of the radiation reaching a detector, and provide a signal that generates a nuclear magnetic resonance (NMR) spectrum. An NMR spectrum can be obtained by varying the rf energy for a fixed external magnetic field or by varying the magnetic field for a fixed rf pulse. The electrons in the atoms of a molecule containing hydrogen shield the proton or protons from the external field and cause a small but measurable shift (chemical shift) of the NMR lines. As a result, the NMR spectrum of protons in benzene (C6H6), for example, is shifted relative to that for protons in ethanol (CH3CH2OH), because of the different electronic environment of the protons. Furthermore, there are three different electronic environments for protons in ethanol—one for CH3, one for CH2, and one for OH. NMR spectroscopy provides information about the electronic environment within a molecule and is widely used to determine molecular structure and to study chemical bonding and chemical reactions. Other stable nuclides with I = 1/2 that are used in NMR studies are 13C, 15N, 19F, and 31P. This very simplified and condensed introduction to NMR is intended to help in the understanding of an important application of stable nuclides and NMR in which the sample of interest is biological tissue and the purpose is to provide information for medical diagnosis. The application is discussed in Chapter 14, Section 14.6.1.1. 6The electron-volt (eV) was introduced as a unit of energy in Chapter 4, Section 4.1. One MeV is equal to 106 eV. is 6.71 x 108 kj/mol. In this exoergic reaction,8 which can be written in short notation as 23Na(n, 7)24Na,9 a nucleus of the only stable isotope of sodium captures a neutron having negligible kinetic energy (about 0.03 eV per neutron or about 2.9 kj/mol) to become a nucleus of 24Na. The reaction energy is transferred to the surroundings as electromagnetic radiation (7 radiation) and to a relatively small extent as recoil energy (kinetic energy, heat) of the 24Na atom. On a per-event basis, reaction (13-3) is exoergic by 6.96 MeV per nucleus of 23Na, and reaction (13-2) is exothermic by 9.23 eV (0.00000923 MeV) per molecule of CH4. It is not customary to express the energy for nuclear reaction in the units of kilojoules per mole of a reactant or product; it was done here for comparison only. The energy for a nuclear reaction is given for a single event rather than for a mole of events, and for most of the nuclear reactions of interest in this text, the convenient unit of energy is the MeV. 7The equation for a nuclear reaction is balanced with respect to reactants and products by conserving mass number and total charge (nuclear and electronic). For the neutron, Z = 0, A = 1; for the proton, Z = 1, A = 1; and for the photon, Z = 0, A = 0. The terms "exoergic" and "endoergic" correspond to "exothermic" and "endothermic", but they include all forms of energy, not just thermal energy. 9The short notation represents the following: target nuclide(particle in, particle out)product nuclide. For the combustion reaction (13-2), the decrease in mass is only 9.23 eV/ (931.5 x 106 eV/amu) = 0.00000000991 amu per molecule or 9.91 x 10-9 grams per mole of CH4 burned. Therefore, mass change is not a useful measure of the energy absorbed or evolved in a chemical reaction. 10In this traditional way of calculating Q, the difference calculation is in the reverse order of that used to calculate the change in a thermodynamic property (products — reactants) for a chemical reaction. The calculation of Q using the chemical convention for nuclear reactions also will be found in the literature. nm(4He) is the motion mass of 4He. Both m (4He) and the rest masses are approximated by mass numbers. In this equation s0 is the permittivity of a vacuum and is equal to 8.854 x 10-12J_1 C2m-1. The quantity of interest in a nuclear reaction is V, the height of the Coulomb barrier in MeV, that is, the work required to bring the nucleus of the projectile species into contact with the target nucleus. Equation (13-9) becomes where the charges are Z1 and Z2 and r is replaced by the sum of the nuclear radii of the two reactants, R1 and R2. The radius of a nucleus in femtometers (10~15 m) is given by R = 1.4A1/3.12 For reaction (13-7), the Coulomb barrier height is 4.35 MeV. When conservation of momentum is taken into account, the new threshold energy is 5.27MeV. Finally, it is necessary to point out that reaction (13-7) may occur for an incoming 4He2+ particle having a kinetic energy less than 5.27MeV, but not less than 2.36 Mev. The value of 4.35 MeV for the Coulomb barrier height was calculated by means of classical mechanics [equation (13-10)]. When a nuclear reaction is examined in terms of quantum mechanics, an incoming charged particle with kinetic energy less than the Coulomb barrier height has a finite probability of penetrating (tunneling through) the barrier. This probability increases with increasing kinetic energy of the particle. If an endoergic nuclear reaction involves a charged particle as a reactant or a product, any excess kinetic energy above Q that is given to the incoming particle because of the Coulomb barrier is distributed among the products. For an exoergic reaction with a Coulomb barrier, the energy available to the products is the sum of the kinetic energy of the incoming particle and the Q value. When the particle in or out in a nuclear reaction is a proton, its radius is usually taken as zero except when the target or product nuclide has a very small mass number. and the average binding energy per nucleon is 8.11 MeV. Figure 13-2 illustrates the way average binding energy per nucleon varies with mass number for stable nuclides. The peak at 7 MeV is for 4He. The maximum stability is found for elements of mid-range atomic number. A "rule of thumb" is to use a value in the range 8-8.5 MeV for the approximate average binding energy per nucleon for stable nuclides of elements between oxygen and tantalum, inclusive. When a radionuclide decays into another nuclide, which may be stable or radioactive, there is a spontaneous decrease in the rest mass of the system. We discuss the energetics of radioactive decay in Section 13.5. FIGURE 13-2 Dependence of the average binding energy per nucleon on mass number of a nuclide. where N is used instead of concentration, X is the traditional symbol for the rate constant ("decay constant,'' usually in reciprocal seconds), and the negative sign indicates that the number of radioactive atoms in the sample decreases with time. Some radionuclides decay by branching, a more complex process in which decay may occur along two or more paths to give different products. The fraction of nuclei that decays by each mode is a characteristic property of the radionuclide that must be determined experimentally. Since the value of X for a mode of decay is a measure of the probability of decay by that mode, the decay constant for the total rate of decay, Xoveran, is the sum of the X values for each branch. 13When used to characterize a nuclide, (s) means "stable." By now the reader will have noted that two meanings have been assigned to N and three to A. Fortunately, this rather common practice should not create a serious problem because the intended meaning should be clear from the context in each case. 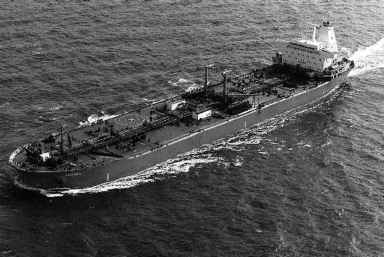 15In the late 1940s another unit, the rutherford (rd) was used in some publications. One rd was defined as 1 x 106 disintegrations per second. as 3.700 x 1010dps for any radionuclide. One Bq is equal to 1 dps for any radionuclide (see Table 13-1). Another quantity that is often used, the specific activity, is the activity (in becquerels or curies) of a specified radionuclide per unit quantity of radioactive material (e.g., per millimole of a compound or per unit weight of an element). In certain calculations the mean life r is used. It is equal to 1/X and 1.443i1/2. A typical semilog plot of the activity of a single radionuclide with a half-life of 2.0 days is shown in Figure 13-3 (A0 = 800 Bq). When the rate at which radiation is emitted by a radioactive source is measured in the laboratory or in the field, the observed counting rate R is proportional to the activity. If the proportionality factor does not drift during a series of measurements, the counting rate (e.g., counts per minute) will have the same time dependence as A. Then R and R0 can be substituted for A and A0, respectively, in equation (13-20). For a single radionuclide, the decay curve based on counting rates will resemble that in Figure 13-3 except that the data points will scatter about the "best" straight line because of statistical fluctuation of radioactive decay. 3. Those containing a combination of types 1 and 2. 16In this text, half-lives are given in parentheses after the symbol for the radionuclide. The units are seconds (s), minutes (m), hours (h), days (d) and years (y). In some data compilations "a" is used for years. Nuclidic data in Chapters 13 and 14 were taken from Parrington et al. Chart of the Nuclides and the CRC Handbook of Chemistry listed at the end of the chapter under Additional Reading and Sources of Information. FIGURE 13-3 Semi log plot of the decay curve for a radionuclide with a half-life of 2.0 days and A0 = 800 Bq. A semilog plot of the decay curve for the total activity of a type 1 mixture will be concave upward corresponding to the sum of the straight-line decay curves for the activities of the components. An example is shown in Figure 13-4 for a mixture of two independent components, A and B, whose half-lives are 10.0 and 1.0 h, respectively, and A0 = 200 Bq, B0 = 600 Bq. where radionuclide A is the parent of daughter B, which becomes the parent of C, which decays to the stable nuclide D.
FIGURE 13-4 Semi log plot of the decay curves of the total activity and the activities of the two independent components, A (10.0h, A A = 200 Bq) and B (l.Oh, Aj = 600 Bq) in a mixture. where the last term accounts for the decay of any B that is present in the sample at time t = 0. General expressions (e.g., the Bateman equation),17 are available for the equation obtained by integration of an equation like equation (13-22) for the «th member of a series. 17H. Bateman, Solution of a system of differential equations occurring in the theory of radioactive transformations, Proc. Cambridge PMos. Soc., 15, 423 (1910). There are three naturally occurring, radioactive series, namely, the uranium, the thorium, and the actinium series. Each series is named after the longest-lived and, therefore, first member. The transitions that occur in the uranium series are represented in Figure 13-5. Data and names used in the older literature for the members of the uranium series are given in Table 13-2. Similar information for the thorium and actinium series is given in Appendix B. The uranium series is also known as the 4« + 2 series because the mass number of each member can be expressed as (4« + 2), where « is an integer. Similar designations for the thorium series and the actinium series are 4« and 4« + 3, respectively. The three series contain examples of branching, already mentioned, and the three types of parent-daughter system described next. FIGURE 13-5 Uranium (4« + 2) series. The main sequence is indicated by arrows and a dash. aSymbol used in the early studies of naturally occurring radioactivity is given in parentheses [(Io) = ionium]. b(y) indicates low intensity (1-5%); y rays with intensity below 1% are not included. Where (IT and p-) or (a and p-) is given, branched decay occurs. 18"Equilibrium" implies reversibility to a chemist. The term "secular steady state" would be better. 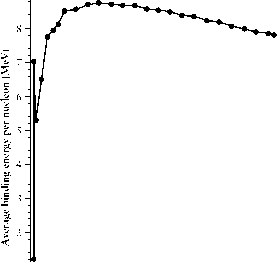 The growth curve for 222Rn in a sample of pure 226Ra (A0 = 660 Bq) is shown in Figure 13-6. The activity of the equilibrium mixture will decrease very slowly with a half-life of 1599 y. 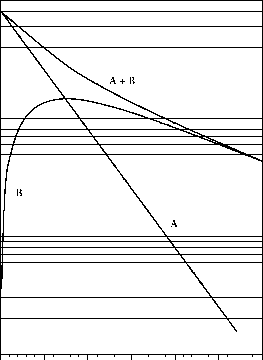 In the second type of system, \A < \B, so that Aa decreases significantly as Ab increases in a sample initially containing very little B or none at all. At first, Ab increases rapidly and then goes through a maximum before attaining a state of transient equilibrium (transient steady state) as shown in Figure 13-7 for A (t1/2 = 10.0 d, AA = 600Bq) and B (t1/2 = 3.0 d). 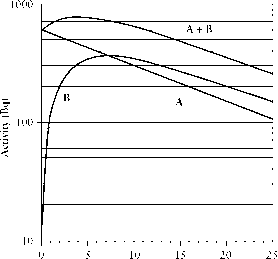 When the transient state is attained, the ratio of AB to Aa becomes a constant and remains so as both Aa and AB decrease with the half-life of the parent, A. Then, AB is greater than Aa by the ratio XB/(XB — XA). 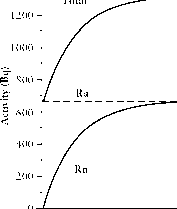 FIGURE 13-6 Linear plot of the time dependence of the total activity, the activity of 226Ra (1599 y, A0 = 660 Bq), and the activity of the 222Rn (3.8235 d) daughter as it increases to secular equilibrium in a sample of initially pure 226Ra. 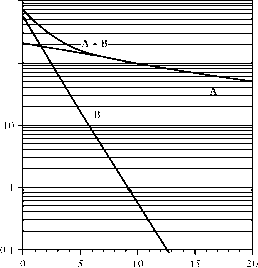 FIGURE 13-7 Semilog plot of the time dependence of the total activity, the activity of A (10.0 d, AA = 600 Bq), and the activity of the daughter B (3.0 d) as it increases and reaches transient equilibrium in a sample of initially pure A. The third type of behavior ("no equilibrium") occurs when XA > XB. Steady state cannot be attained, as shown in Figure 13-8 for A (t1/2 = 3.0d, AA = 800 Bq) and B (t^ = 10.0 d). Both stable isotopes and radioisotopes of the elements can be produced by nuclear reactions that occur when a target is irradiated with neutrons, charged particles (including radioactive nuclei), or high energy photons. In the production of synthetic radioisotopes of an element from its stable isotopes for use in nuclear medicine, for example, the target contains the element in the form of the pure element or in the form of a compound or an alloy. Neutron-induced nuclear fission (Section 13.6.3), the basis for nuclear power, is an example of the irradiation of a long-lived radionuclide such as 235U (7.04 x 108 y). Nuclear fusion (Section 13.6.1.1), a potential source of energy in the future, may utilize a shorter-lived radionuclide, 3H (12.32 y), as one of the reactants. FIGURE 13-8 Semilog plot of the time dependence of the total activity, the activity of A (3.0 d, A0a = 800 Bq), and the activity of the daughter B (10.0 d) in a sample of initially pure A. If (1) the irradiation conditions are constant and (2) the target is thin and is not significantly depleted of target nuclei during the irradiation time t, then the rate of formation of nuclei of B, (Rf)B, remains constant during the irradiation.19 The reaction is pseudo-first order. Its rate depends only on the rate at which the irradiating species arrives and reacts with the target nuclei.